Pat Summitt, the winningest coach in Division I college basketball history who helped boost the women's game to the big time in a 38-year career at Tennessee, has died at 64. KNOXVILLE, Tenn (WPVI) -- Pat Summitt, the winningest coach in Division I college basketball history who uplifted the women's game from obscurity to national prominence during her 38-year career at Tennessee, died Tuesday morning. She was 64. The Pat Summitt Foundation also made an announcement Tuesday morning on its Twitter account. Summitt was such a competitor that she refused to let a pilot land in Virginia when she went into labor while on a recruiting trip in 1990. Virginia had beaten her Lady Vols a few months earrlier, preventing them from playing for a national title on their home floor. 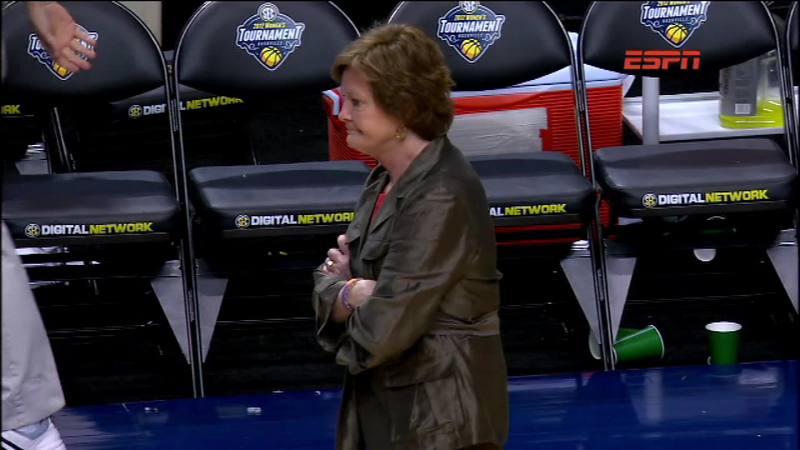 She is survived by son Tyler Summitt.